It's your favorite vampire queen on a pint glass! The Adventure time Marceline 16 oz. Pint Glass features an image of the rockin' red-eater and the quote, "I'm gonna go into feral mode. It's not gonna be pretty." 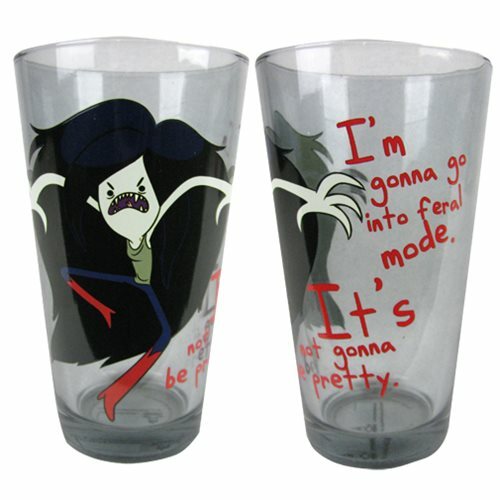 After eating Marceline's fries, wash them down with a tasty beverage in this mathematical glass! Holds 16 ounces. Hand wash only. Not dishwasher safe. Do not microwave. Ages 14 and up.